The roundÂ handmade Murano glass bead measures 18mm. 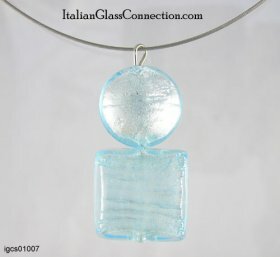 TheÂ squareÂ handmade Murano glass bead measures 20mm. Bead colors: Light Blue on Silver Leaf.